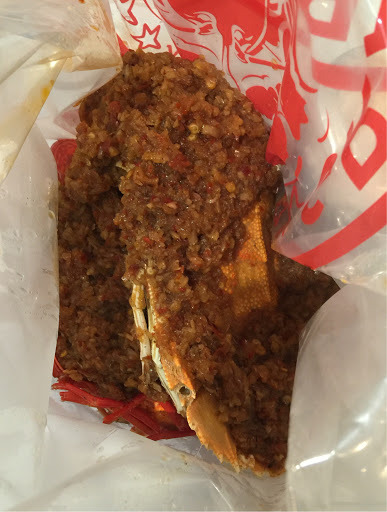 Where to go when you're craving seafood? 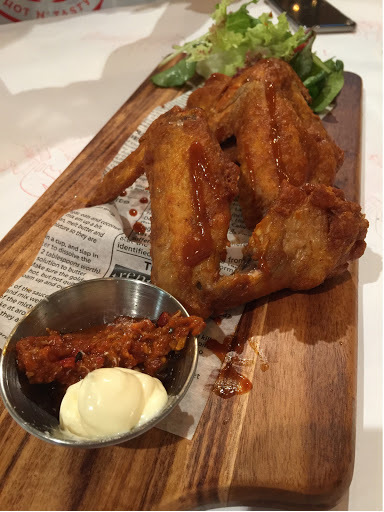 Grab a Yabby in Mount Lawley would be a good place to start. With a couple of friends, Miss D and Miss S, I was finally able to visit Grab a Yabby. We were very excited for the prospect of the endless yabbies we were going to consume. So we were more than a little disappointed when we found out they had run out of yabbies on the night we visited! I'm not sure a restaurant named Grab a Yabby is allowed to run out of yabbies, but they did. After we got over our initial shock over the yabbies we actually took a proper look at the menu and started ordering. Before we knew it, we ordered half the menu. Well, not really, but it felt like it. 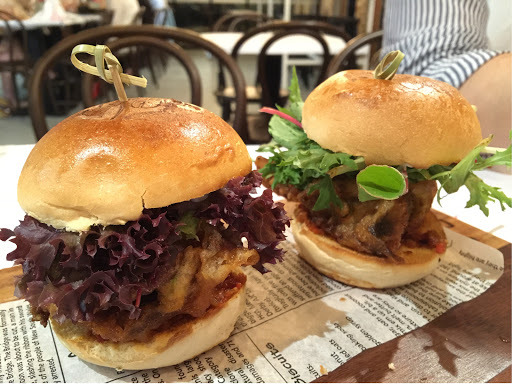 For starters we ordered the sweet potato fries, crunchy prawns and soft shell crab sliders. These were the starters I was able to eat. 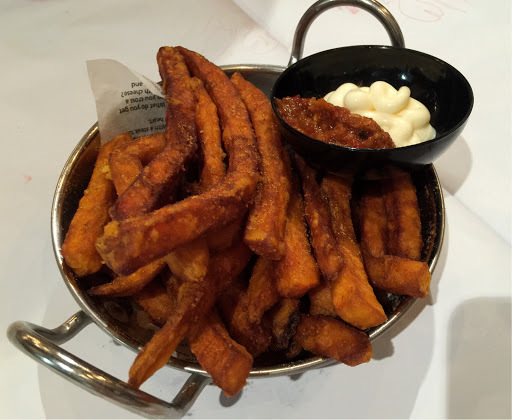 The sweet potato fries were juicy yet crunchy and we loved the chilli and mayo combo it came with. 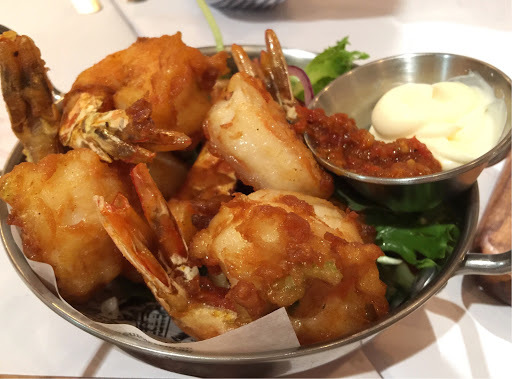 The crunchy prawns could've been crunchier. I did expect it to be thoroughly battered, instead there were only pieces covered in batter. But, it tasted great and the prawns were very sweet and juicy. The soft shell crab buns were good, the soft shell crab was very crunchy and there was a good amount of it. I did think the sliders lacked a bit of sauce and a bit more flavour would've been great. Miss D and Miss S also ordered an entree that I dared not touch. It was the lava wings. If a menu item comes with a warning that it's spicy I tend to believe it. Even the waiter had to confirm we were sure we wanted to order it. Well, Miss D was confident to begin with, but with each bite you could see the development of sweat droplets around her forehead. Miss S was acting all tough, but I think her stomach and was shivering inside! Needless to say, it was spicy!!! Finally, our seafood combo came. 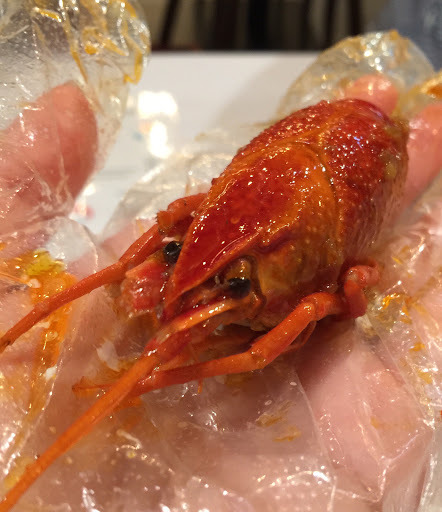 The freshwater crayfish combo comes with half a pound of crawfish and half a pound of yabbies. As they were out of yabbies, they were replaced with the Moreton Bay bug. 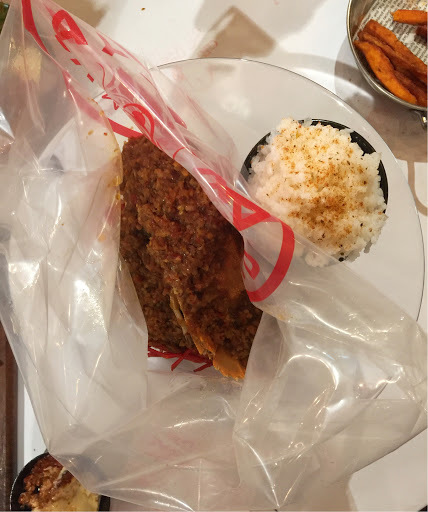 We ordered the combo with the XO sauce, which is very similar to an Indonesian sauce known as Saos Balado. The crawfish (pictured above) were super adorable! They were really tasty, but really tiny. The Moreton Bay bug was much larger and very satisfying! The sauce was a combination of sweet and sour and it tasted great. We did order the mild version for my benefit, but I think a little bit of spiciness would've been great. To close off our meal and cool down Miss D's stomach, we ordered the coconut jelly. This was a jelly placed into a coconut shell and served whole. 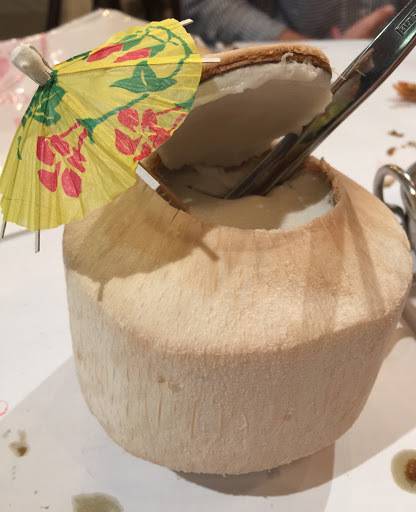 Well, it was certainly coconutty and we loved how you can still peel the coconut meat off the inside of the shell! It was a refreshing and light dessert. Overall, we really enjoyed our meal at Grab a Yabby. 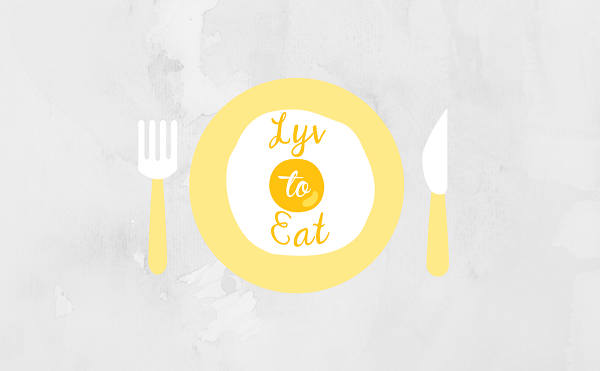 We got over the disappointment of the lack of yabbies and enjoyed the other menu items we tried! It's always good to revisit an old favourite and this time that old favourite was Brando's pizzeria. I was first introduced to Brando's back in my uni days. I remember coming to this restaurant in a big group and we'd be seated on a row of tables that always seemed too small anyway! Ahh, good memories. Other memories I had of Brando's was of course of their pizzas. We always ended up leaving Brando's with happy tummies. Well this time, we were not feeling particularly nostalgic. But we were craving for some pizza and I just happened to be scrolling through the Entertainment book and, lo and behold, we landed on Brando's! One of the menu items that attracted me was the penne pollo. I can never go past a creamy, rich pasta dish. And this was was certainly creamy and rich. The penne was perfectly al dente and the chicken looked dry, but it was far from it, it was juicy. The sauce was, of course, my favourite part. It was tasty, it was cheesy and there was plenty of it. It's one of those, not-so-fancy, but oh-so-satisfying pasta dish! We also ordered one pizza dish, as it was originally, what we came for! As the name suggests, the carnivore pizza was nothing nothing more than meat with some pizza base, and cheese. This is a meat lover's dream come true. As the pizza was covered with cured meats, it was a little bit too salty at times, but fortunately the tomato sauce base helped with its sweetness and acidity. Our short-but-sweet visit to Brando's has reminded us why we used to enjoy visiting here so much. This time my favourite dish was the penne pollo, but I wouldn't say no to any of their pizzas though! This place is definitely not fancy or fine dining by any means, but it's good for a casual, tasty dinner. One cuisine I never say no to: Thai food. One Thai restaurant that I've been wanting try was Totally Thai in Carlisle. I've heard good things and I've been very curious. So when Mr. T suggested we go eat out, I consulted my list of restaurants I want to try and Totally Thai was it! Fortunately for us, they still had a table for us available! When we arrived, the restaurant was only a quarter full, but by the time we finished ordering it was already full and loud. 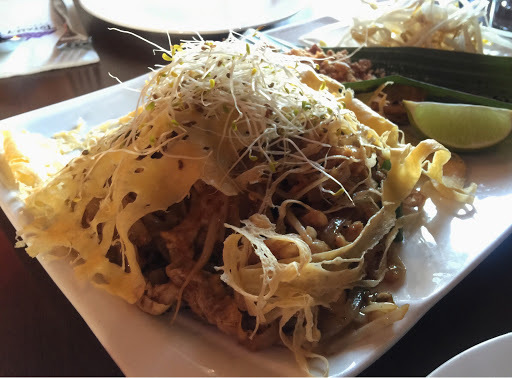 Of course, the first dish we ordered had to be pad thai. As you can see, Totally Thai's pad thai was presented uniquely. The mound of noodles was covered with a netted omelette, and they placed crushed peanuts, sugar and dried chilli on the leaf. We omitted the sugar and chilli flakes, but mixed in the peanuts and bean sprouts into the noodles. The pad thai was tasty, it was one of the sauciest pad thai I've ever had which was nice, but it was a bit too spicy for me. So glad we didn't add the chilli flakes! 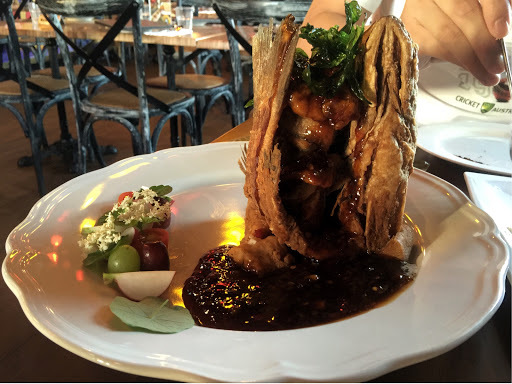 The pla sam rod is a whole deep fried barramundi with a sticky spicy sauce. Again, we loved the presentation, especially the side of flowers and fruits. I definitely thought the sauce was delicious, but again too spicy. I thought the barramundi had an odd texture, it actually reminded me of deep fried tofu. Turns out Mr. T totally agreed, so it wasn't just me. We really liked how the fish was already filleted and battered in smaller pieces, because there's nothing worse than cleaning out fish bones with a fork and spoon! 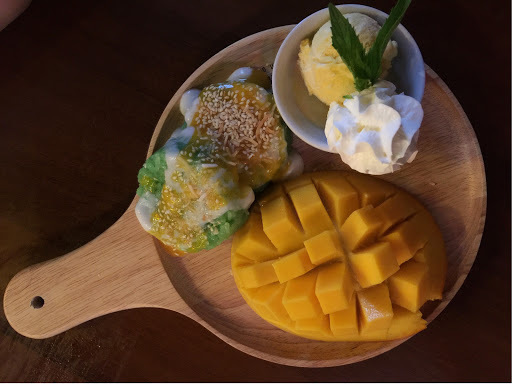 To polish off our dinner, we ordered the mango sticky rice for desserts. Well, that mango was delicious, it was fresh, juicy and sweet. The mango sorbet was a little bit icy, but it tasted great. The sticky rice was soft and fluffy, but I thought it was a bit too savoury, which made eating it all together a little bit odd. Overall, we were a bit torn on Totally Thai. We enjoyed the dishes, but some aspects of every dish was a bit off. Also, for those prices, we were expecting better seating. But, because the restaurant was so full and they crammed it with all those tables, at the end of the dinner, we actually had to shift our table so I could get out of my seat. Also, we could hear every conversation from the table next to us, slightly awkward. A ramen date is always a good date. So when Mr. T said we should grab lunch together, the first place I suggested was Kizuki ramen. Not only have we not tried it, but we haven't had ramen in a few weeks, so it was certainly a good time for it! We arrived for lunch even before they were opened, even then we were not the first ones there! Kizuki's ordering system is similar to Bambamboo's. There are iPads set up near the front door. So after looking through the menu, you order using the iPad, pay then you are seated. After five seconds of looking through the menu, I knew I just had to try the double rich tonkotsu ramen with firm noodles. From the colour of the broth and the pork slice, I knew this ramen was going to be tasty. Just as I thought this ramen was packed with flavour. I was in love from the first slurp. I also loved the texture of the firm noodles, it made every bite more satisfying. The broth did get a little too salty as I got to the bottom of the bowl, probably why they have the low sodium option. Either way, loved this ramen. As Mr. T and I were famished, we also ordered the chicken karaage! The karaage was a little too oily and that took away a little bit of the crunciness of the batter. But, the flavour was amazing! Overall, we thought the ramen at Kizuki was a winner. Especially the double rich tonkotsu! And, we loved how they got the firm noodles perfectly!